Apple has begun pushing out its latest operating system update, iOS 6, to legacy devices ahead of its normal release schedule. The update is available to smartphones ranging from the iPhone 3GS and up, while the newest iPad, iPad 2, and fourth- and fifth-generation iPod Touches can all receive the revamped OS. Rumors initially surfaced Wednesday that the operating system would drop at 10 a.m. PDT, in line with the upgrades for iOS 5 and iOS 4, but Apple seems anxious to get its new OS rolling. Apple confirmed the OS update for devices other than the iPhone 5 (launching Friday, with iOS 6 pre-installed) would come today, though exactly when wasn't revealed. The beta version of iOS 6 was launched in August, though it could be a matter of minutes before Apple-heads the world over get their free upgrade. 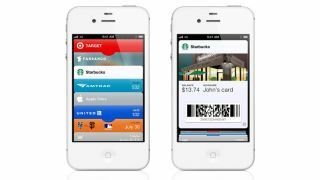 iOS 6 is bringing a number of changes to Apple's mobile operating system, including Passbook, Apple's new maps app, and an improved version of Siri. Though the update is coming to many older devices, those won't necessarily receive newer features like Siri, especially if those devices aren't in particular countries. Overall, the OS is a more social system, with features like shared Photo Streams and Facebook fully integrated. For a more in-depth look at iOS 6, check out TechRadar's iOS 6 vs. iOS 5 comparison and our complete review of the new OS, including our frustration with Apple's decision to leave out some OS features we've grown used to.